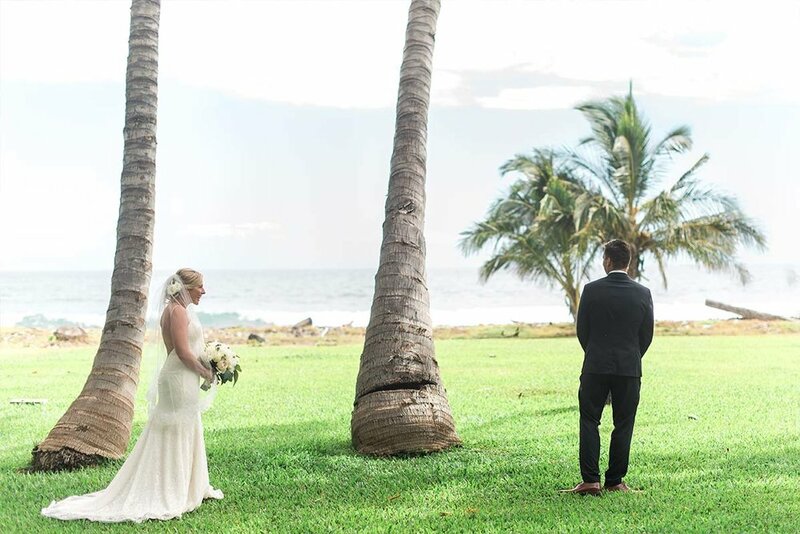 Becca and Ryan’s romance began in the sunshine of Australia, so it was only fitting for their love to be sealed forever in a different beautiful coastal destination like Hawaii. For Hawaii wedding planner, Lorrie Betsill Nielson, curating the details for both the Wedding Day, and also their Aloha Welcome Party the night before, was a dream come true as the love that surrounded them by their family and friends was the perfect reflection of the pure love they have for one another. 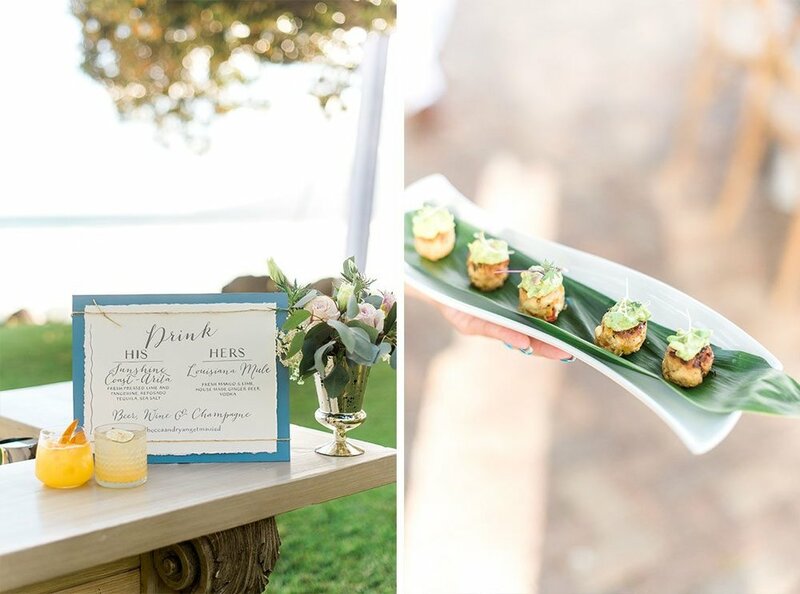 To kick off the Maui destination wedding festivities, we began with a welcome reception at the beautiful Westin Maui Resort + Spa that embodied the aloha spirit shot beautifully by Sanaz Photography. Guests were treated to a visual rainbow of vibrant tropical details and florals, which they enjoyed while sipping the couple’s signature cocktail, a Mai Tai, amongst the palms. Fresh local fish tacos with the couple’s favorite toppings were served, while guests dined at communal tables designed with clear modern stools and simple, clean florals, pineapples and palm leaves. 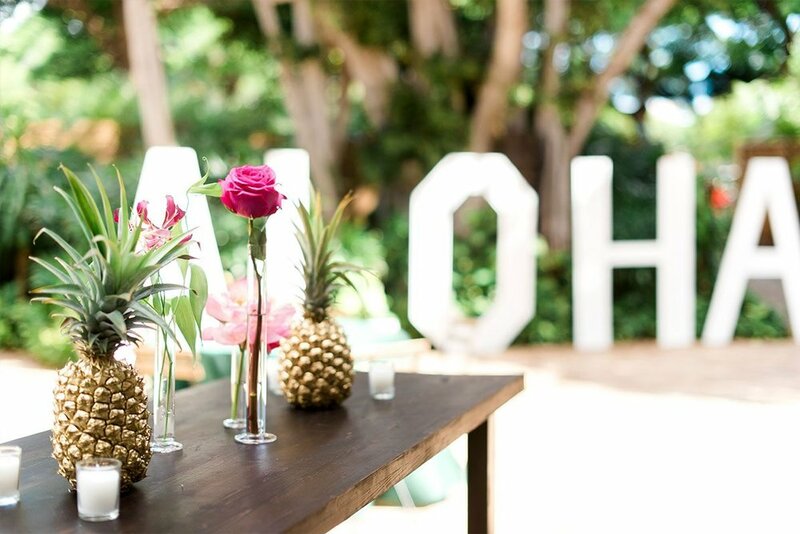 A Maui destination wedding isn’t complete without a taste of shaved ice! Becca and Ryan incorporated this extra sweet station for guests to choose their favorite flavors of this refreshing Hawaiian staple. The evening centered around details that were bright, fresh and joyful, just like Becca and Ryan. With live musical sound provided by Barefoot Minded, bringing the perfect blend of island style vibes. The sounds of laughter and excitement filled the bridal suite as Becca and Ryan got ready to see each other for the first time as she prepared for her romantic first look. Excitement permeated the warm air as Becca and Ryan eagerly waited to become husband and wife. Even our little flower girl was anticipating the moment. Guests were treated to a stunning reception set against the backdrop of the gorgeous Pacific Ocean, with blue accents to tie in the cool coastal theme. And it was time to eat, drink and be married! Now, can it get any more joyful than that? Swoon…. For information on planning your very own Hawaii Destination Wedding please contact us! We look forward to connecting with you soon!